It’s the prom night and you wish to compete for the prom queen title, but are you facing one of your worst hair days? Frizzy, curly, heavy and wavy hair are problems quite common among women especially with long locks. Frizzy and wavy hair is difficult to manage and leads to breakage, weakening and damaging of your hair, leaving you with the need to plan out a new strategy for hair care. These problems involved in maintaining curly and wavy hairstyles add to the popularity of straight hairstyles. A casual straight hairdo can be worn to work every day and with little styling. A lady sporting this hairstyle can prove to be the centre of attraction in a social gathering. However, this simple and beautiful hairdo also requires some care to prevent it from getting unmanageable, dull and dry. Mentioned below is a list of few essential products used for straight hair that will help keep your strands smooth and silky. Read on to know more about them. Anti-frizz serum is beneficial for straight hair and protects it from getting frizzy. You should apply anti-frizz serum on wet hair to make every strand of your hair smooth. However, you should not apply the serum to the roots of your hair or overuse the serum, as it can damage your hair. One of the simplest ways to make your straight hair shine is by washing it daily. Purchase a good quality straightening shampoo and conditioner designed specifically to keep straight hair manageable and smooth. Another good product for straight hair is the volumizing spray that helps protect your hair from humidity. Volumizing spray makes straight strands look thick and can also keep your hair away from frizzes if an anti-frizz volumizing spray is used. Unlike the anti-frizz serum, volumizing spray should be applied to the roots for best results. Hair shine spray is another hair product that people with straight hair can use in order to get silky and smooth hair. Hair shine spray can be used before your hair dries out completely. Nevertheless, the spray should not be used daily since it might get harsh on the health of your hair. Styling products should be avoided by everyone, however if you can’t do without one, it is advisable to use it on the ends of your hair. Make sure not to use styling products daily. In this way you can avoid possible damage to your hair. If you are tired of the straight look and want to curl your hair for a whole new look, make sure to use the right set of rollers. The size of the rollers should depend on the length of your hair. This means, if you have long hair, then bigger rollers should be used and vice versa. Using a blow dryer though not recommended for daily use, can at times be used to style straight hair. However, proper usage of the dryer is must to save the hair from any damage. Remember to comb your hair from the top to the tips with a round brush while using the drier. It is also sensible to dry your hair in different sections. 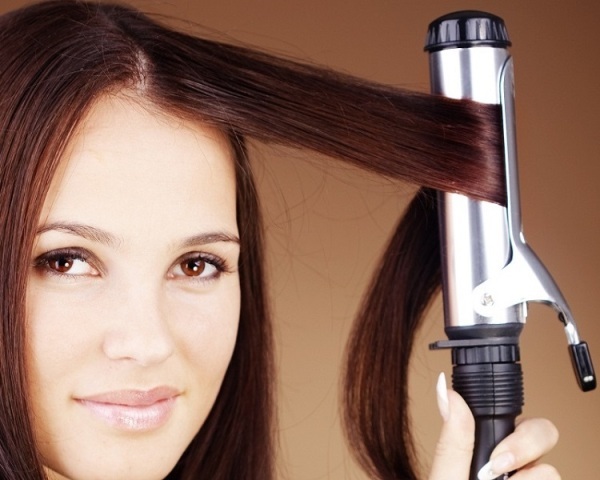 Using a blow dryer on small sections of your hair makes it manageable and frizz free. A hair straightener is the most commonly used device by people who want straight hair and who want to maintain straight strands. A hair straightener or a flat iron has ceramic heating elements that supplies constant heat to the hair, thereby straightening them. Make use of a good quality straightener with an enhanced quality plate in order to minimize damage. A Hair straightening brush is a device that can be used along with the blow dryer to untangle and straighten your hair. The brush comes with thermal plates that evenly distribute heat while straightening your hair. Unlike flat iron straightening brush causes less damage to your hair. Hair styling lotions are designed to be used along with all kinds of hair straighteners and flat irons. The lotion is applied to hold your hair while straightening it. The lotion makes your hair less frizzy, thus making it simple to use flat irons or straightener.